Spencer’s Car Sales Ltd has been established for over 18 years, with our business being built on our excellent reputation. At our new base in Rackheath you are free to pop in and have a look during our trading hours, It is advised to make an appointment to view as we like to ensure our staff are available to give you our full attention and show the range of excellent cars we have in stock. The business initially began on Dereham Road, in Norwich, then moved to Crostwick where we quickly out grew our premises, we have recently moved to a brand new purpose built site incorporating a Service Centre and MOT bay on Ramirez road Rackheath Industrial Estate, just outside Norwich city. 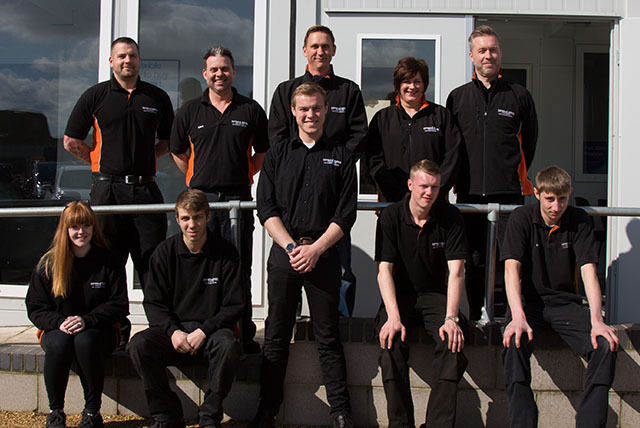 Spencer’s Car Sales Ltd is a family run business with a wealth of knowledge and experience in the car industry. We pride ourselves on our excellent customer service and aftersales care. If you are coming to us from further away, why not make a day of it as there are some fabulous places and pubs to visit nearby – the Norfolk Broads are just on our doorstep.